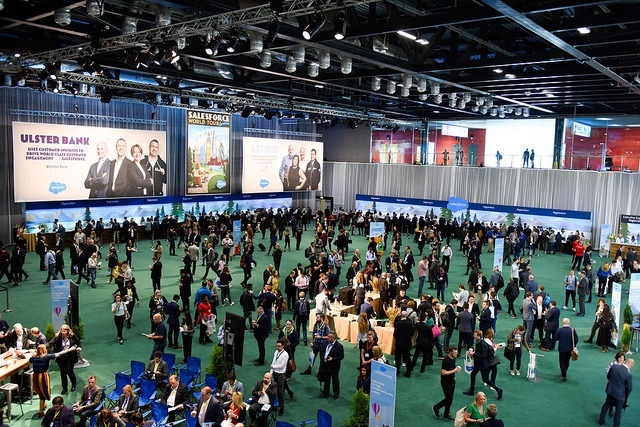 And just as quickly as it came, Salesforce World Tour London is over for another year. We are so happy to be able to spend a day surrounded by so many innovative thinkers and exciting businesses who are helping to shape the platform into a robust growth machine. We want to say a big thank you to every single person who stopped by our booth to learn more about SuMo. We know just how exhausting the day can be and it means a lot to us that you took the time to show your interest and support for our native app. We were lucky to share some very interesting conversations with our visitors, who quickly saw the value in the enhanced insight, coaching capabilities and guided selling SuMo can provide for their sales teams. After a whole year working hard to make our product that much more aligned to our customer’s needs, it’s very rewarding to have so many people recognise the value in what we offer. We’re turning Sales into a science and it became even more apparent that sales leaders like the sound of that! To everyone who was able to spend some time with us yesterday, thank you. 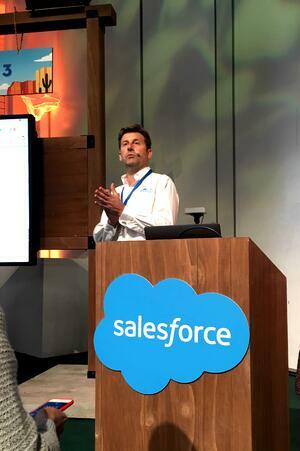 We loved hearing about your use of Salesforce, your success stories and struggles with the system and enjoyed seeing first-hand the superb results some of our customers are already realising thanks to SuMo. A big highlight of the day for us was taking part in the nerve-racking Demo Jam, alongside industry front-runners like FinancialForce and NewVoiceMedia. We were given just 3 minutes to tell the audience about SuMo’s ultra-powerful sales engine and how it helps businesses increase the performance of their sales teams by coaching winning behaviours, offering better forecast clarity and optimising the sales process throughout. If you hadn’t already realised, we thoroughly enjoyed our day and are really looking forward to catching up with all those who dropped-by so we can continue our conversations on how SuMo can help their businesses exceed targets! If you visited our booth yesterday, chances are we’ve got all your details and we’ll shortly be in touch to carry on discussing how SuMo can help meet your particular needs. In the meantime, please feel free to delve into SuMo by visiting our dedicated landing page. We’ve put together some of our most useful resources here so you can start learning how to maximise your revenue potential with SuMo! Catch the play-by-play of the day on Twitter!